Click VIRTUAL MEDIA link for VIDEO. This Impressive, Mostly Brick Home is full of attractive finish details. 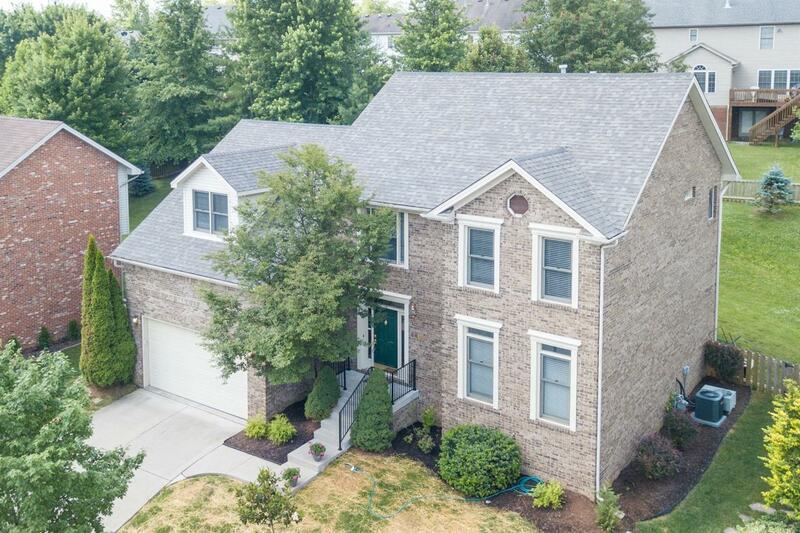 It also features hardwood, a Low Traffic Cul-de-Sac location in Waterford, HUGE Fenced Back Yard, Security System, Mostly Brick Construction & and Full Finished Basement that protects your family even during storms. With more than 4000 square feet, you'll always have plenty of room -- and plenty of storage. And what more Convenient Location could you find? Enjoy the Neighborhood Pool, Tennis Courts & Clubhouse, Veterans Park, and nearby restaurants, shopping & schools. The Basement Wet Bar has hot & cold water and a Fridge and Microwave that stay. 5th bedroom in basement is the perfect place to sleep in a storm -- no window, but near an exterior door. All carpet is new, and much of the house has been recently repainted. New roof shingles put on May 2017. Lots of Under-Eaves Storage. Miscellaneous: Basement, Foyer, Formal Living Room, Family Room, Rec Room, Bonus Room, Separate Utility Rm.